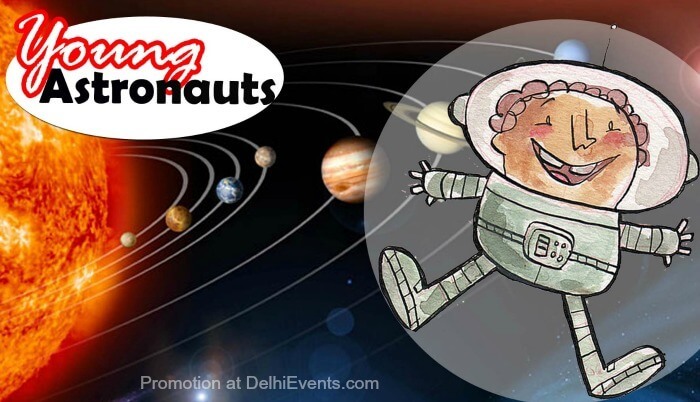 Event Description : KIDS WORKSHOP : Hands On presents "Young Astronauts"
Are you ready to blast off for adventure to explore the final frontier? Come on a spectacular journey to discover the wonders of space. Explore rocky planets, gas giants, moons, dwarf planets, asteroids, understand the recent ‘demotion’ of Pluto, and go up to the edge of the Solar System. No corner of the universe is left unexplored!